Were Neanderthals the earliest cave artists? 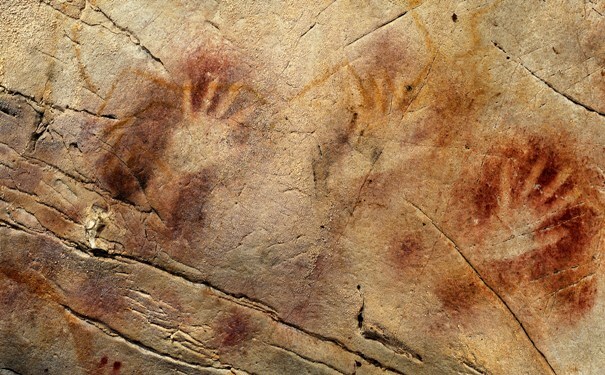 An improved dating method has revealed that cave paintings in Spain are older than previously thought. Cave art has always been difficult to date accurately and has caused heated feuds among archaeologists over the past century. Previous evidence has indicated that the earliest rock paintings are from the Chauvet Cave, France, which radiocarbon dating predicts to be around 33,000 to 35,000 years old. Credit for most ancient artworks is usually given to the early modern humans. Alistair Pike and his colleagues from the University of Bristol have used a refined method of uranium-thorium (U-th) dating; it demonstrated that artworks in various cave sites in northwest Spain are at least 40,000 years old, and likely to be even older. The researchers speculated, due to these earlier dates, that the Neanderthals and not the early modern humans could have been the ones responsible for Palaeolithic cave art in western Europe. The researchers used U-th dating to estimate the age of calcium carbonate deposits that had grown over (and under) 50 ancient cave paintings in 11 different sites around northwest Spain. Because the deposits cannot be older than the cave itself, this method provides a minimum age of rock paintings and engravings. A similar concept to predicting the relative age of a fossil from the layer of sediment it was found in. The findings will assist archaeologists in understanding the chronology of painting styles, from the symbolic forms in the earliest cave paintings to the more graphically complex images that gradually came to be depicted over time. 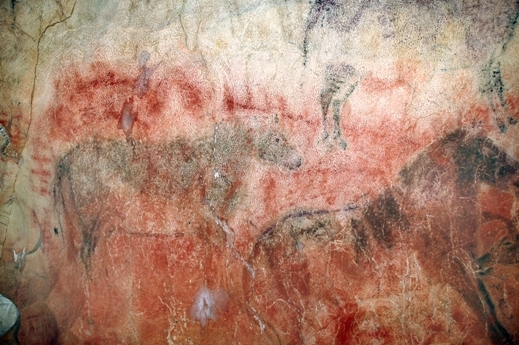 The researchers estimate that the earliest of the cave paintings, red discs and spots at El Castillo cave site, is at the very minimum 40,800 years old. If this were an average age estimate, it would support the notion that cave art coincided with the arrival of early Homo Sapiens in western Europe, which previous studies have shown to be around 41,500 years ago. But given it is a minimum age estimate it could be that the paintings were actually produced before modern humans arrived. 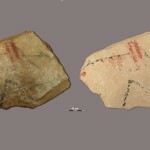 “It cannot be ruled out that the earliest paintings were symbolic expressions of the Neanderthals, which were present in Cantabrian Spain until at least 42,000 years ago,” explained the authors. Tim Roufs from the University of Minnesota Duluth was impressed by the study and said the authors — “as they somewhat modestly claim” — have clearly established that artistic activity began earlier in Europe than previously thought. Roufs said that he has high-esteem for the Neanderthals and believes they were a “creative, brilliant, inventive and usually underrated species”. He therefore enthusiastically endorses the authors’s suggestion that the earliest cave paintings were symbolic expressions of the Neanderthals and not modern humans. “[The results] should be provocative of future chronometric research on European cave painting,” he said.